Delicate. Classic. Femine. These are the words that jumps in my mind when i look at a woman wearing mink coat ! There is something about this piece that immediately refines any look with a touch of elegance. Honestly there is no better shortcut to look effortless chic than by throwing on a mink coat . Especially in real fur , can instantly up your winter style game. 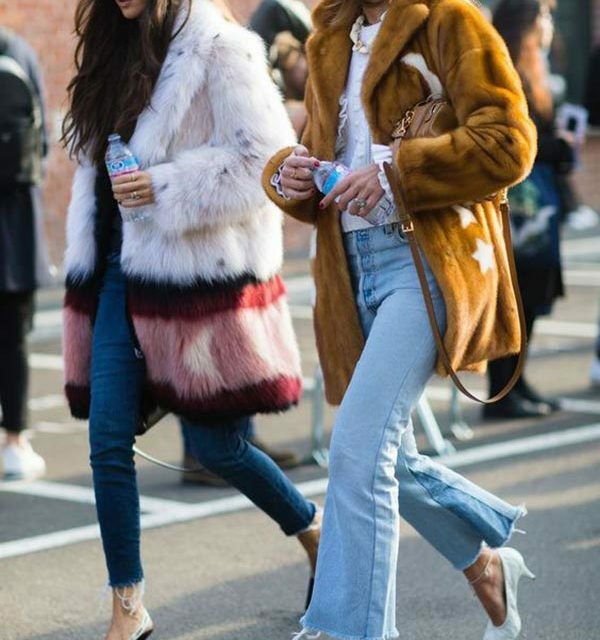 Either paired it with high boots and sweater , athleisure wear or even with hippie jeans , pretty much anyone can pull off a mink coat ! Effortless chic in honey colored mink jacket , hippie jeans and kitten heels. Casualty meets classic! Playing with the details , jeans + same color sweater ( a life hack ), leather ankle booties +leather belt + leather clutch and a vintage mink coat to complete the outfit! Every Milanese has a medieval kind of aesthetic feeling. This woman was captured in the streets of Milan during fashion week in really playful mood. We adore every single choice regarding her outfit! Mink patchwork coat paired with black tights, vinyl shoes and leather skirt, playful handbag , cute bag charms and a cartwheel medieval black hat ! Veronica Heilbrunner in lilac pants, petrol long sleeve shirt and a statement Gucci mink coat ! 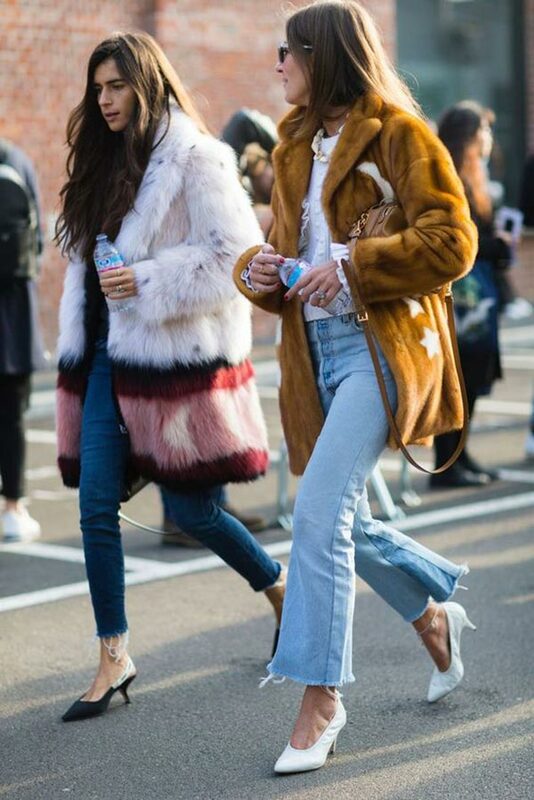 Mink coats match everything ! Mira Duma took athleisure style on another level! She dressed so comfortable in Nike runners, black leggings and baseball cap! Classic yet simple. Kitten heels , black pants , white top , animal print leather clutch, natural shades ! If you ever wondered how to use contrast to create killing outfits , Christine Centenera made it easy for you. Just use black elements to create a black based outfit and pull off a statement white coat to complete it ! Christine made it look effortless chic with a pearl full length mink coat ! Chiara Ferragni in hooded sweater , Fendi coat, Hermes birkin and Karlito keychain ! Sure, you can never go wrong with denim but Vivianna Volpicelo styling method involves natural tones and classic accessories like the mail bag and the hippie scarf. Pyjamas (chic, actually), shiny wedges and socks—all can be forgiven when you cover it up with a mink coat coat. Street Chic. Oversized full length mink ( blue iris ) , Russian hat, white vinyl shoes, Gucci belt-bag, denims and sweater ! Total black + Classic mink coat ! Statement outfit ! Attention please, don’s try this at home ! But you can get some ideas! 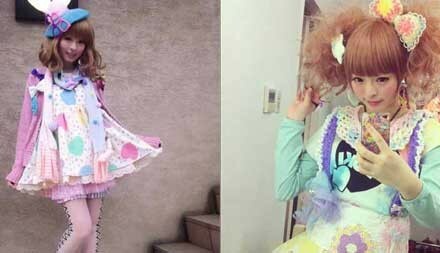 Anna Dello Russo proves that she is from another planet with this eccentric outfit that perfectly supports: Ombre mink coat, fluffy fox fur handbag, sock fit boots! This seems to be like ” not an outfit at all” but the balck details ( bag + ankle boots + sunglasses ) paired with a vivid colored wrap make the difference ! Have you ever wanted to be that mysterious diva? If yes, this is your outfit . Big hood, lleather killer gloves, big handbag , sunglasses and a statement coat ! A hot Sunday in Moscow! Wear your airmax and denims for an easy-go , use a beanie to add some charm , tie your cardigan around the waist and don’t forget your 5,000 USD mink coat ! In love with that white long mink coat ! The cute way to wear a mink coat in New York. Turtle-nack jumper, beanie and high boots are enough to fight the big chill! If you want to make it count you can do it in the Parisian way! A faded silver blue mink jacket is an all time classic! You can pair it perfectly with black elements! Depending on the style you’re chasing, go for an open mink coat for a more effortless look or a fitted one for something more glam. You’ll be surprised by how versatile a mink fur coat can be!